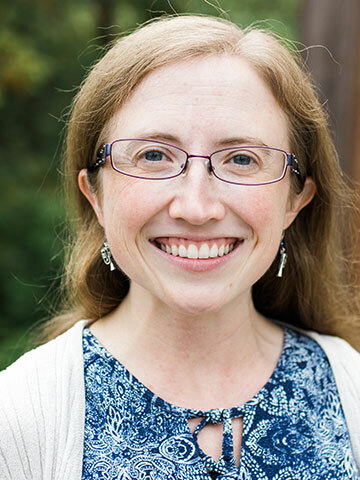 Stephanie is a George Fox University alumna who returned in the spring of 2012 as a clinical adjunct faculty and became full time in fall of 2012. She teaches Pathophysiology, Pharmacology, Health Assessment, Healthcare of the Developing World, and Knowing and Being Known. She also supervises students in Fundamentals and Medical-Surgical clinicals. Stephanie has led service-learning trips with George Fox nursing students to Kenya, Nicaragua, and Haiti and led Juniors Abroad trips to locations such as Israel, Jordan, Greece, Turkey, India, and Thailand. Additionally, Stephanie plays the concert harp with the Chehalem Symphony and the university's Symphonic Band. She has worked as a Family Nurse Practitioner since 2008, focusing on primary care and urgent care in rural communities.